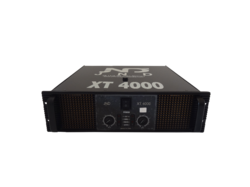 We are a leading Manufacturer of 5 feet dual base, pd 1852 audio systems, speaker, pd 186/2 audio systems, audio processing equipment and pd 1850 speaker from Delhi, India. Designed specifically to provide powerful and accurate bass frequencies with minimal distortion and power compression. 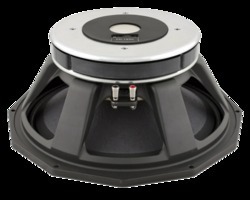 The PD.1852 is the optimum choice for top of the range sub bass systems where the ability to take punishment in the most demanding applications is the ultimate selection criterion. 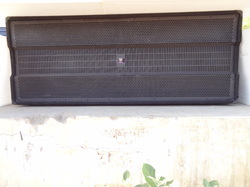 Suitable for sound reinforcement in a variety of enclosure types since it allows enclosure designers considerably more freedom with specialised loading techniques without having to make allowances for physical characteristics or power handling limitations which are typically the result of more traditional designs. Appropriate for applications as diverse as scoop bins, conventional refl ex cabinets and horn loaded systems. Brand new 18" chassis design Heavy duty cast aluminum frame for increased rigidity Capable of dissipating tremendous heat build up when driven in concert conditions 110 oz ceramic magnet Huge copper area and breathing arrangement of the voice coil ensures superior power compression performance Double suspension system maintaining a pure piston action for the moving mass and provides additional durability against the rigours of life on the road Designed to provide outstanding high power bass and sub bass, suitable for all systems demanding the best possible low frequency response. 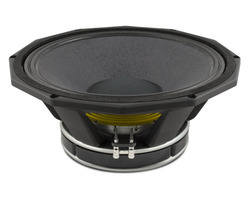 A popular choice for horn loaded applications when the PD.186/2s full low end can deliver extremely high SPLs. 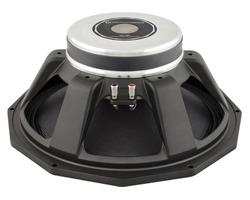 Ideal for three-way direct radiating systems where the powerful bass comes into its own. Well suited for use with PD. 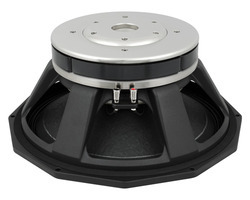 121 and 1 / 2 compression drivers in direct radiating/horn loaded systems where the double suspension system allows it to thrive in the demanding touring sector. Looking for Precision Devices ?